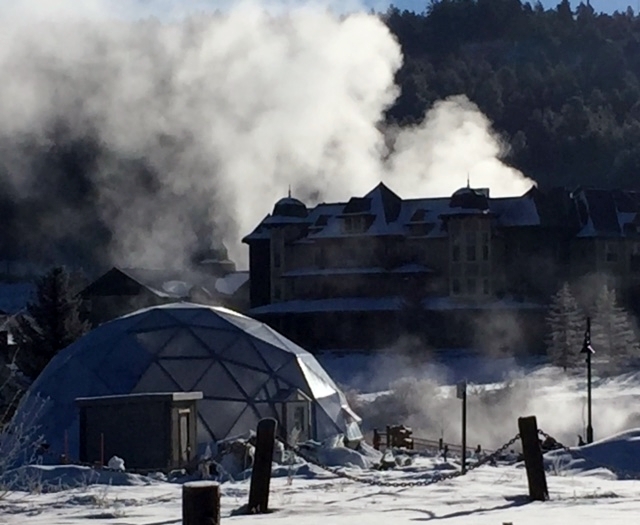 The Geothermal Greenhouse Partnership is a 501c3 nonprofit located in Pagosa Springs, Colorado. Our mission is to educate the community in sustainable agricultural practices by producing food year-round using local renewable energy. GGP’s Education Dome became operational in late 2017. Hundreds of school aged children have participated in growing activities and renewable energy education. School groups have included Pagosa Springs Middle School and High School, Pagosa Family School, Pagosa Peak Open School, Pagosa Home School Connection and CSU 4-H. Dozens of adult volunteers care for the Ed Dome, grow vegetables for the community, and open to the public on Tuesdays and Saturdays to host tours and to sell produce. 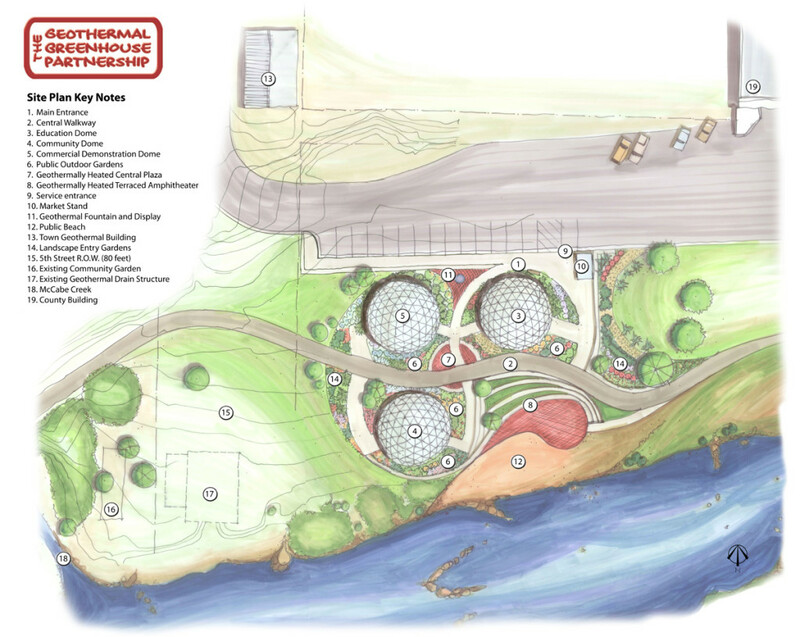 Geothermal Greenhouse Partnership welcomes community groups to grow in the Community Garden Dome, beginning in early 2019. Like the Education Dome, the CGD offers traditional soil growing in raised beds. Food grown in the CGD will be donated where each group specifies or eaten by participants. By inviting groups to grow, as opposed to individuals, GGP will share this unique Pagosa experience with many community members. GGP’s third greenhouse will be operational later in 2019. The Innovation Dome will demonstrate a Controlled Environment Agriculture (CEA) system of aquaponic growing and extreme water conservation. The plants and fish harvested from the Innovation Dome will provide a revenue stream for the long-term sustainability of the Geothermal Greenhouse Partnership park. Like all GGP pursuits, the bio-secure Innovation Dome will provide education about its operations.